The New York Times’ decision not to renew Bill Kristol’s opinion column was because of the conservative writer’s sloppiness and uneven quality, according to a reliable source with first-hand knowledge of the decision. Kristol was informed of the move sometime around January 13, when he was invited to a dinner with Barack Obama that included other conservative columnists and took place at George Will’s house. “It must have been a bittersweet moment,” said the Times insider. Indeed, Kristol crowed about the Obama dinner: he and his comrades had gotten lamb chops in elegant surroundings, while a group of ostensibly liberal writers who met with Obama the following morning got coffee in Styrofoam cups. Except, as it turns out, that was a typical Kristol miscue—according to columnist Andrew Sullivan, who was present, the morning gathering hadn’t been served as much as a glass of water. A source close to the Times says Kristol's ideology wasn't the issue. The problems were more fundamental. The source makes clear that the decision not to renew Kristol’s contract is not related to his neoconservative ideology—Kristol’s proximity to key Washington players ranging from Bush and Cheney to John McCain (whom he supported in 2000) was considered a distinct plus. His leading advocacy of the Iraq War also added to his appeal. 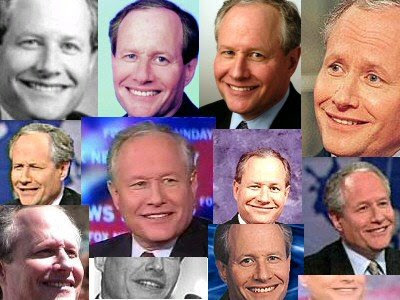 Kristol was viewed as a mover and shaker whose ideas had ready impact on the political firmament in Washington. That, apparently, was the last straw for the Gray Lady. Despite the pink slip, all the news for Kristol is not so grim. The Washington Post has just announced that it will publish Kristol on a monthly basis. Has the Post made itself into the remainder bin for neocons?